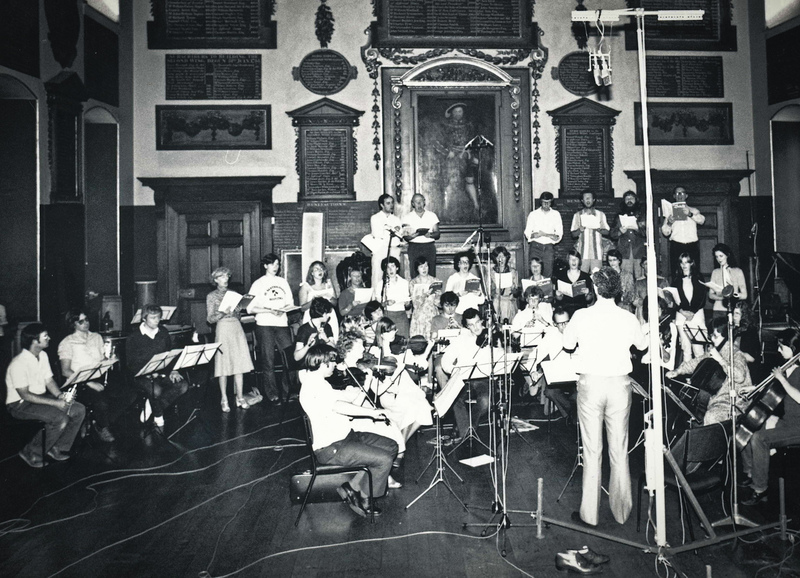 The Barts Academic Festival Chorus and Orchestra was founded by its Conductor, Professor John Lumley in 1971. The Choir had been based at Christ Church, Woburn Square from the late 1950s, but with the closure of Christ Church, Choir and Orchestra became fully resident at St Bartholomew’s Hospital from 1975. The aims of the group are to use their musical skills for the enjoyment both of themselves and the community as a whole. These skills have already been used to the benefit of a number of charities and research foundations including vascular, leukaemia, diabetes and cancer research. Overseas charitable tours have included Rome, Israel, Florence and Cairo (see Tours). The activities of the Orchestra and Chorus have brought together many varied and valuable aspects of life; science and music; physicians and surgeons; Anglicans, Roman Catholics and Jews; the University of Rome, Hospitals in Italy, Israel, Turkey and the Medical College of St Bartholomew’s Hospital, London. Our hope is to continue to establish musical and medical relationships with other countries in Europe and beyond. The Chorus and Orchestra comprises some 100 members, many of whom are attached to the hospital in some capacity, ranging from doctors, nurses, paramedical and administrative staff; the other members are friends and associated musicians. The organisation is entirely non-profit making. Five main concerts are given throughout the year in the Great Hall of St Bartholomew’s Hospital and are in aid of Barts Charity Appeal Funds. The Chorus and Orchestra have also been invited to perform in the Guildhall, Royal Festival Hall and Royal Albert Hall, London as well as other venues in England and overseas. The group is particularly known for its performances of oratorios. These have included the major works of Bach, Beethoven, Brahms, Elgar, Haydn, Mendelssohn, Mozart, Rossini, Verdi and Walton. Music less familiar to the repertoire are also included, for example Puccini’s Messa di Gloria, Donizetti Masses, Handel’s Dixit Dominus and Cherubini’s Mass in A. The Chorus undertake programmes of unaccompanied music such as English madrigals, folk songs and motets. Orchestral concerts are mainly devoted to the Classical and Romantic repertoire.